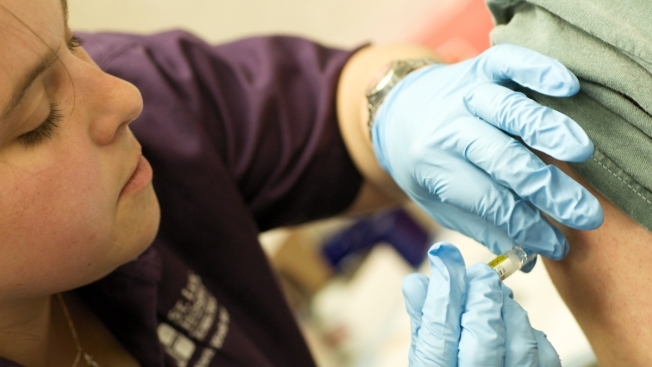 In this June 16, 2008, file photo, a Medical Assistant gives a tetanus shot to an Iowa resident. An unvaccinated 6-year-old Oregon boy was hospitalized for two months for tetanus and almost died of the bacterial illness after getting a deep cut while playing on a farm, according to a case study published Friday by the U.S. Centers for Disease Control and Prevention. The child received an emergency dose of the tetanus vaccine in the hospital, but his parents declined to give him a second dose — or any other childhood shots — after he recovered, the paper said. "When I read that, my jaw dropped. I could not believe it. That's a tragedy and a misunderstanding, and I'm just flabbergasted," said Dr. William Schaffner, an expert in infectious diseases and chair at the Department of Preventive Medicine at the Vanderbilt University School of Medicine in Nashville, Tennessee. 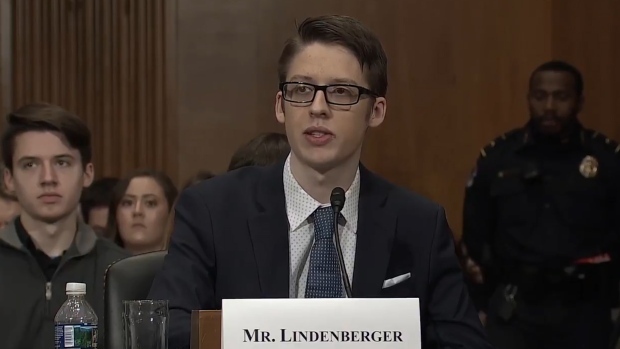 Ohio teenager Ethan Lindenberger, who got vaccinated at age 18 against his mother’s wishes, joined a panel of health experts on Capitol Hill Tuesday to discuss vaccinations amid an outbreak of measles in 11 states around the country. Lindenberger said his mother was misinformed about vaccines due to social media. "This is an awful disease, but ... we have had a mechanism to completely prevent it, and the reason that we have virtually no cases anymore in the United States is because we vaccinate, literally, everyone." Doctors in Portland, Oregon, who treated the child declined to provide any further information about the family at a news conference Friday, citing medical privacy laws. It was the first time that Dr. Judith Guzman-Cottrill, the pediatric infectious disease expert who treated the child, had ever seen tetanus because of widespread vaccination against it in the U.S. When the boy arrived at the emergency department, his muscle spasms were so severe he could not talk, could not open his mouth and was struggling to breathe, she said. "We had a hard time taking care of this child — watching him suffer — and it is a preventable disease," Guzman-Cottrill said. 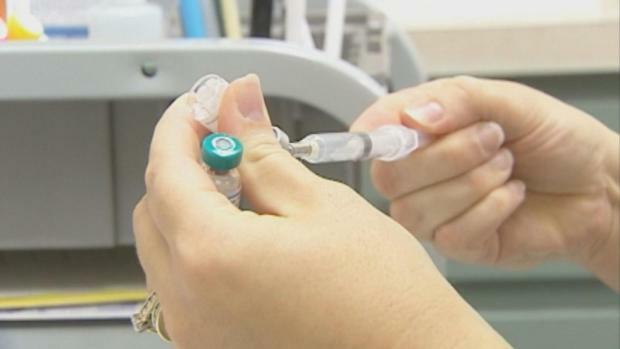 News about the tetanus case comes as lawmakers in Oregon and Washington are considering bills that would end non-medical exemptions for routine childhood vaccines as the Pacific Northwest weathers its third month of a measles outbreak. Seventy people in southwest Washington, most of them unvaccinated children, have been diagnosed with the highly contagious viral illness since Jan. 1, as well as a handful of people in Portland, Oregon. Unlike measles, which is a virus, someone who has survived a case of tetanus is not immune and can get the illness again if they remain unvaccinated. Tetanus also isn't transmitted person-to-person by sneezing or coughing like the measles, but instead comes from bacterial spores that are found in the environment. Tetanus spores exist everywhere in the soil. When an unvaccinated person gets a deep, penetrating wound, those spores can invade the cut and begin producing the bacteria that causes the illness. The tetanus bacterium secretes a toxin that gets into the bloodstream and latches onto the nervous system. Anywhere from three to 21 days after infection, symptoms appear: muscle spasms, lockjaw, difficulty swallowing and breathing and seizures. The disease can cause death or severe disability in those who survive, Schaffner said. About 30 people contract tetanus each year nationwide, according to the CDC, and 16 people died of it between 2009 and 2015. It's rare among children; those over 65 are the most vulnerable. In the case in Oregon, the boy cut himself on the forehead while playing, and his family stitched up the wound themselves. Six days later, he began clenching his jaw, arching his neck and back and had uncontrollable muscle spasms. When he began to have trouble breathing, his parents called paramedics and he was transported by air to Oregon Health & Science University's Doernbecher Children's Hospital in Portland. When he arrived, he asked for water but could not open his mouth. The child was sedated, put on a ventilator and cared for in a darkened room while wearing earplugs because any stimulation made his pain and muscle spasms worse. His fever spiked to almost 105 degrees (40.5 Celsius), and he developed high blood pressure and a racing heartbeat. Forty-four days after he was hospitalized, the boy was able to sip clear liquids. Six days later, he was able to walk a short distance with help. After another three weeks of inpatient rehabilitation and a month at home, he could ride a bike and run — a remarkable recovery, experts said. The child's care — not including the air ambulance and inpatient rehabilitation — cost nearly $1 million, about 72 times the mean for a pediatric hospitalization in the U.S., the paper noted. "The way to treat tetanus is you have to outlast it. You have to support the patient because this poison links on chemically and then it has to be slowly metabolized," Schaffner said. Cases of tetanus have dropped by 95 percent in the U.S. since widespread childhood vaccination and adult booster shots became routine nearly 80 years ago; deaths have dropped 99 percent. The CDC recommends a five-dose series of tetanus shots for children between the ages of 2 months and 6 years and a booster shot every 10 years for adults.